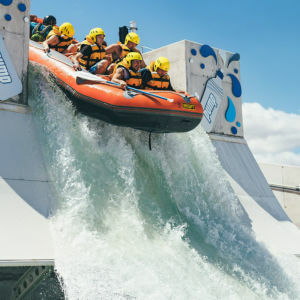 Welcome to Vector Wero Whitewater Park, and experience Auckland's ultimate adventure rush! 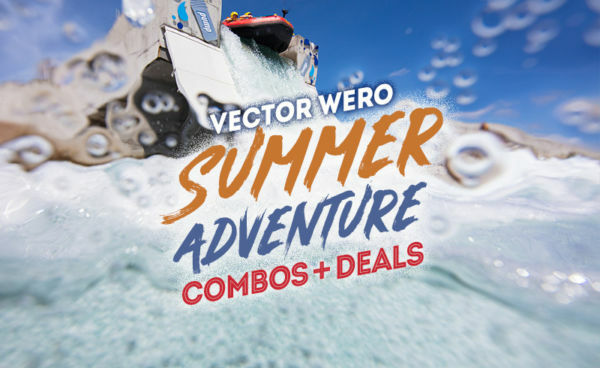 Vector Wero features two white water rafting courses, 9,000 sqm of beautifully clear water to explore, and the world's highest man-made waterfall! 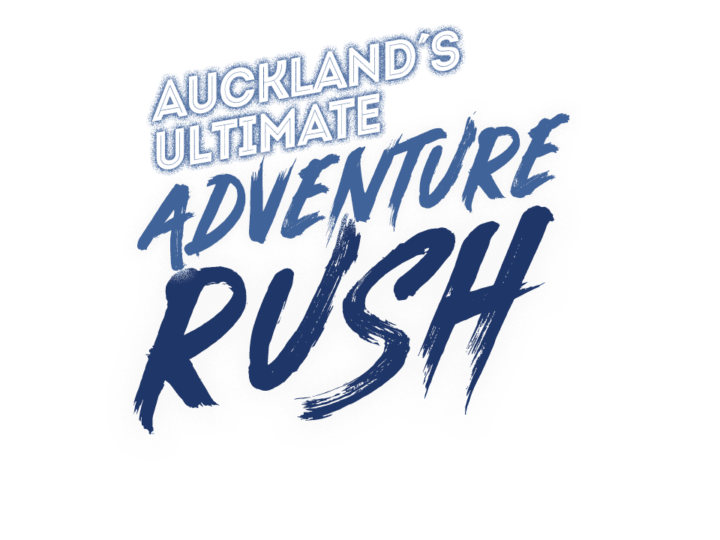 If you're looking to inject adrenaline into the crew or for things to do or an activity to bring the kids during the school holidays in Auckland, this is the perfect day out. 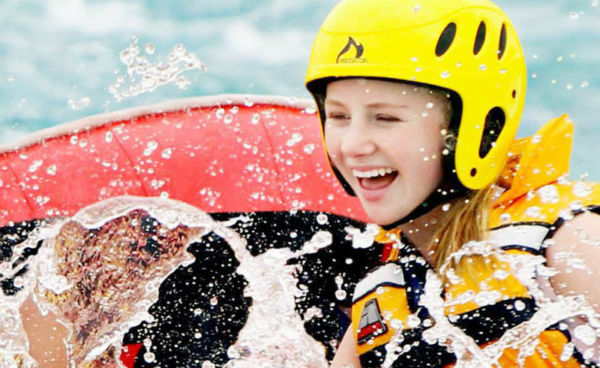 Enjoy paddling and pizza by the lake, hire a kayak or SUP, race down rapids or go on a Pump Waterfall drop. Feel the rush of adventure, or simply dip in a toe – the choice is yours! 7 days a week from 9am. BOOKINGS ESSENTIAL. The Rapids Cafe is open from Friday to Sunday. For kayaking check in times, click here. Entry to the white water park is absolutely FREE. 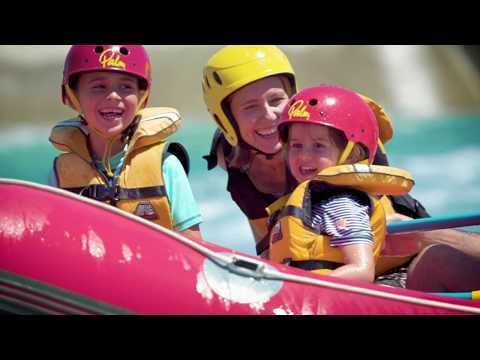 Tamariki River is a recreational course perfect for beginners, kids and families. 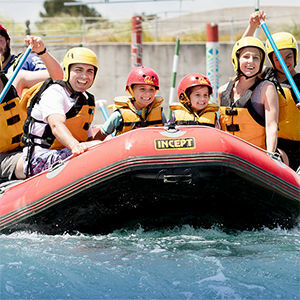 Tamariki River is a Grade 1-2 white water course that will surely delight everyone. 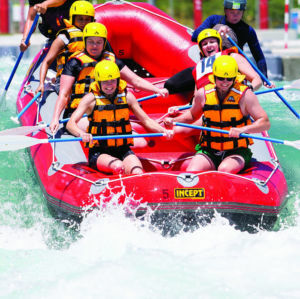 You will enjoy paddling down this gentle 200m long river and maneouvering its mild rapids. 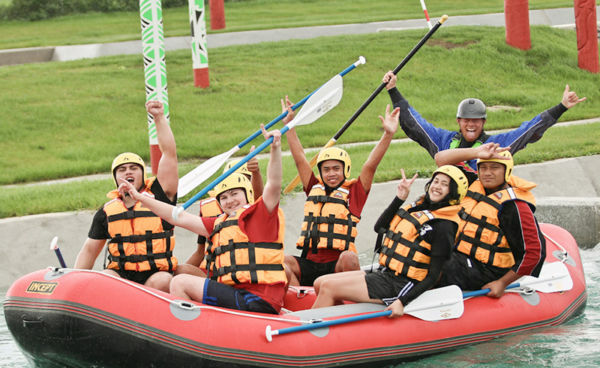 River Rush is an advanced course for those who are ready for the next level. This adrenaline-pumping Grade 3-4 course is not for the faint-hearted. It is 300m long and has the equivalent of an Olympic swimming pool being pumped down it every 95 seconds. The Lake is a 9,000 sqm beautifully clear man-made lake. 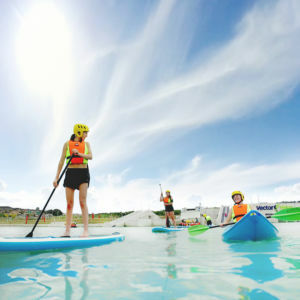 You can glide across the water on a stand up paddle board or relax and float in the calm shallows on a sit-on-top kayak – whatever suits your mood and confidence. Perfect for family activities and kids birthday parties. The Pump Waterfall is the challenge of challenges! 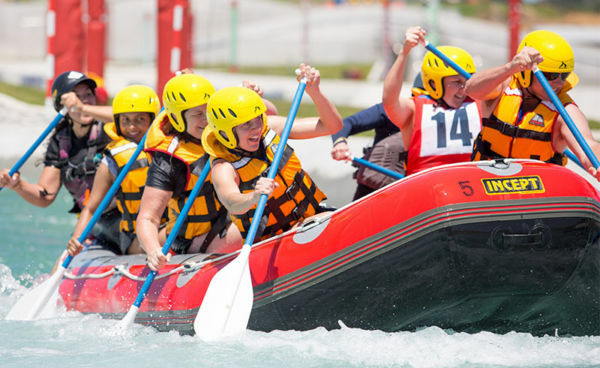 It is the exhilarating 4.5m drop down the highest man-made waterfall in the world and is the highlight of the River Rush Rafting and Kayaking experience. It is a definite adrenaline shot to the system and the thrill is unforgettable.